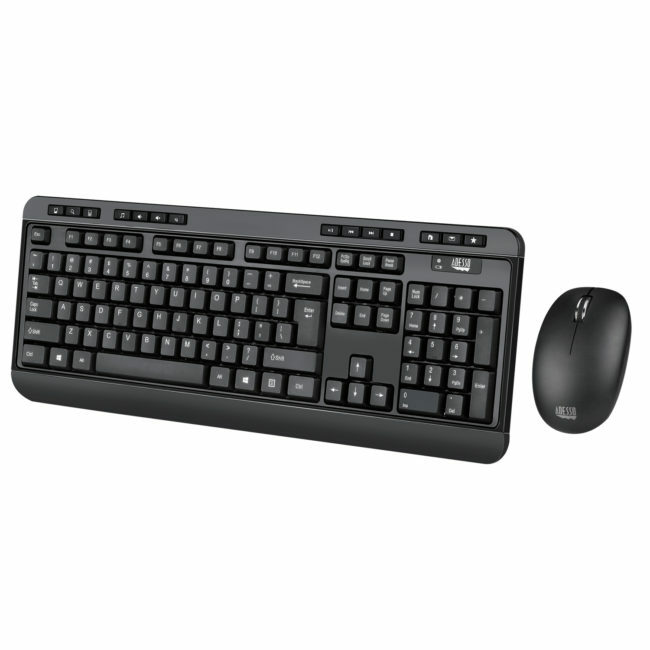 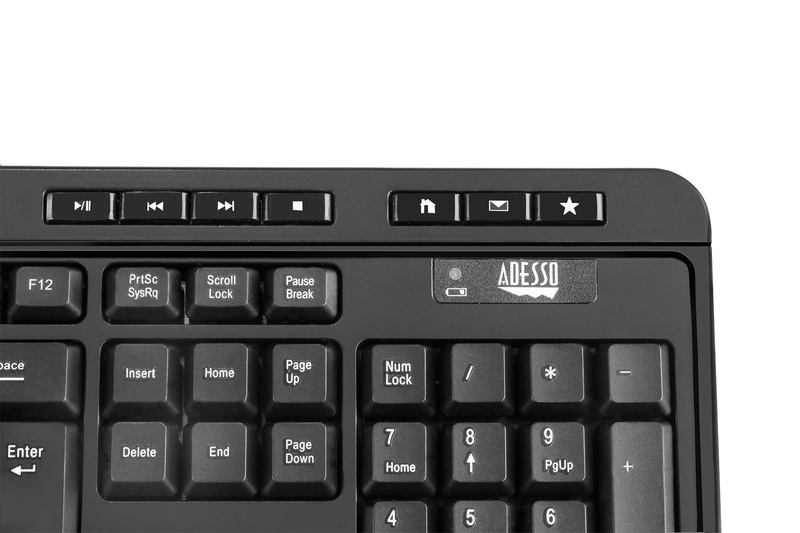 The Adesso 2.4 GHz Wireless Desktop Keyboard & Mouse Combo offer users two superme input devices with a wireless range up to 30 feet. 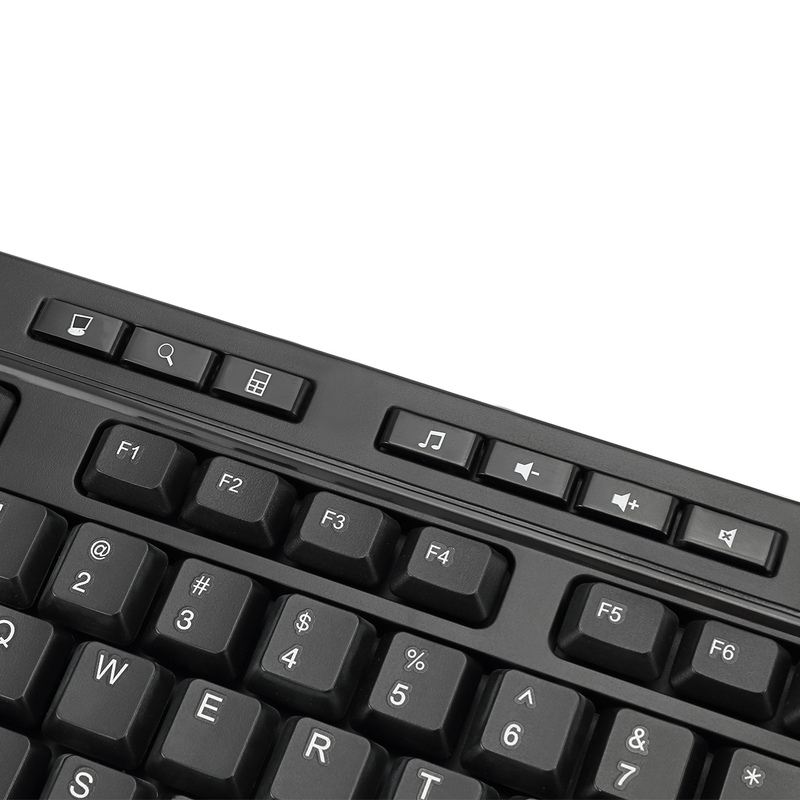 The wireless keyboard features 14 hotkeys for quick access to your media player controls, email, Internet browser and other common applications like My Computer, Mail and Calculator. 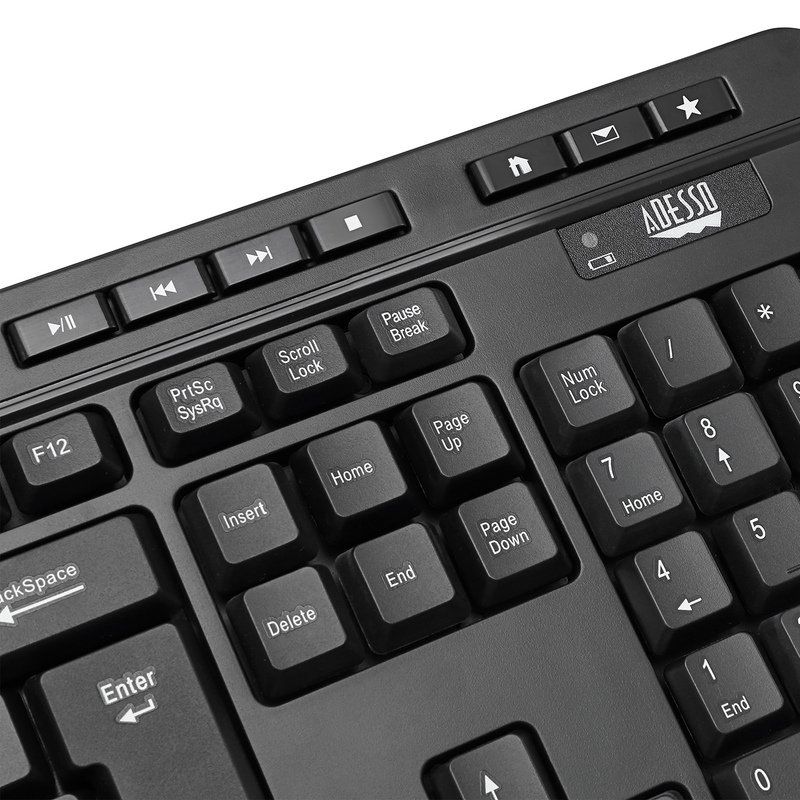 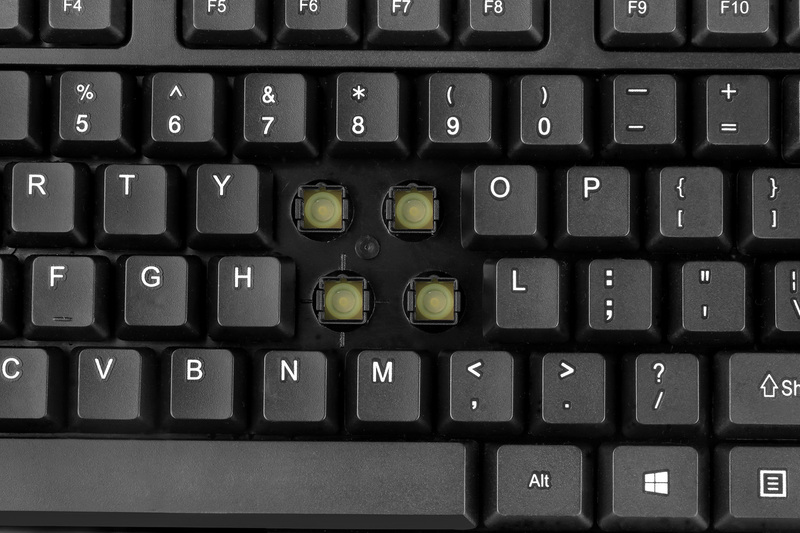 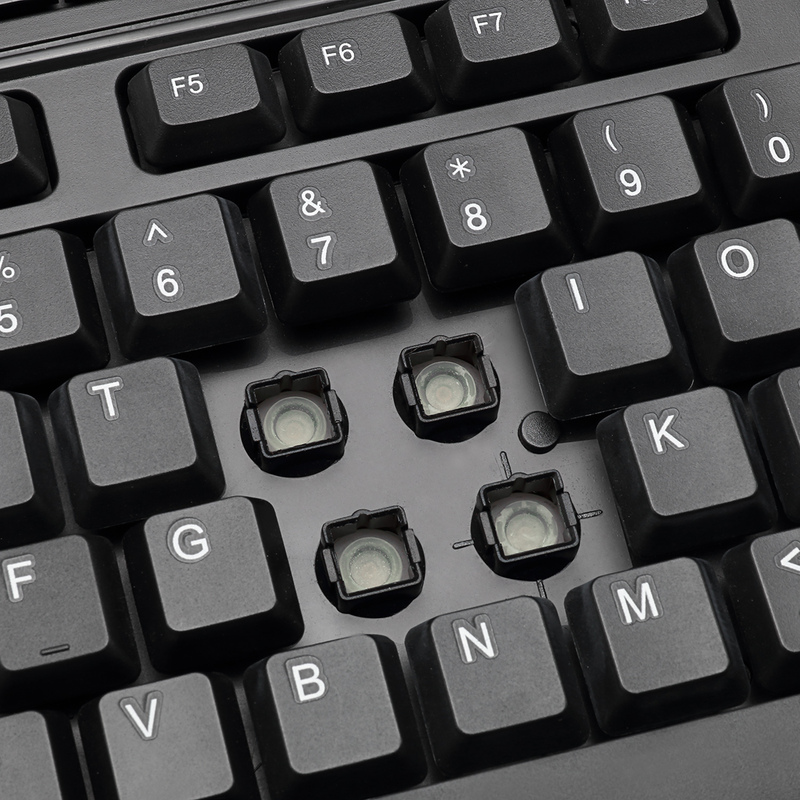 The keyboard uses quite membrane key switches that provide a more quiet and tactile response. 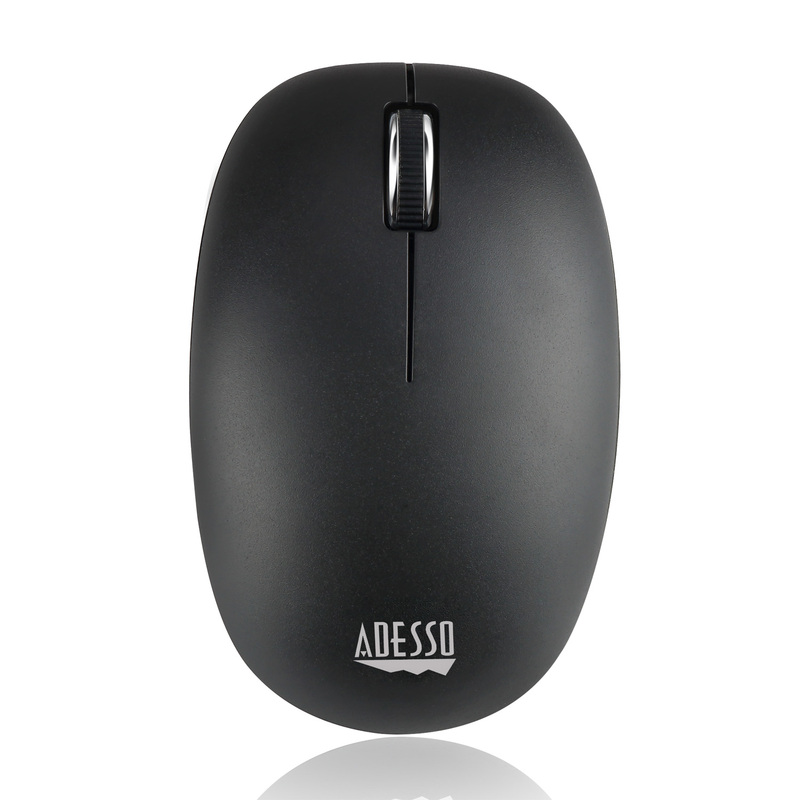 The wireless mouse is equipped with an optical sensor that is more sensitive and accurate than a traditional optical mouse. 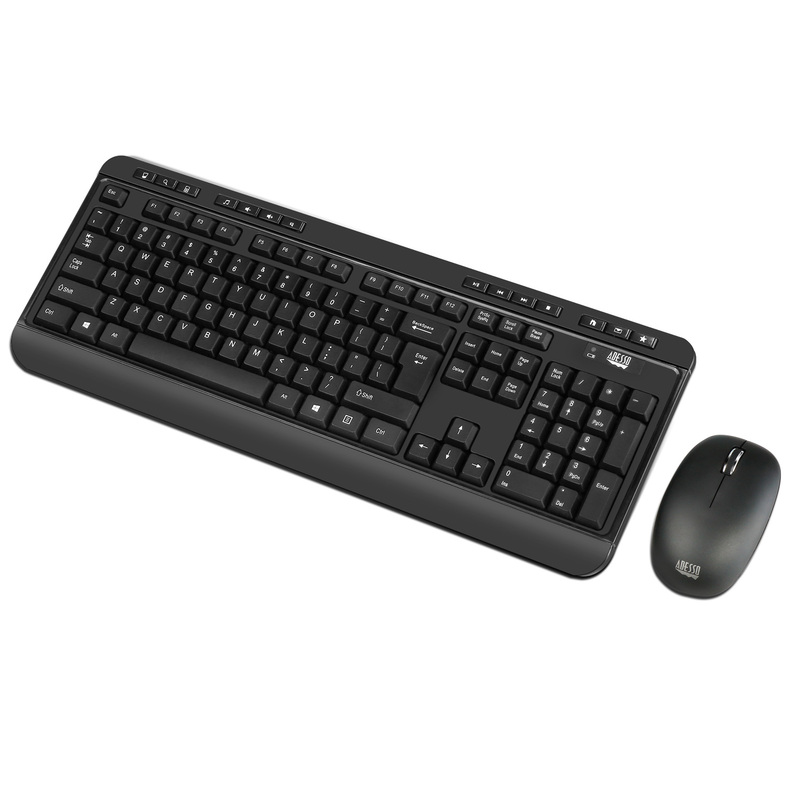 This combo is ideal for use in your office or home. 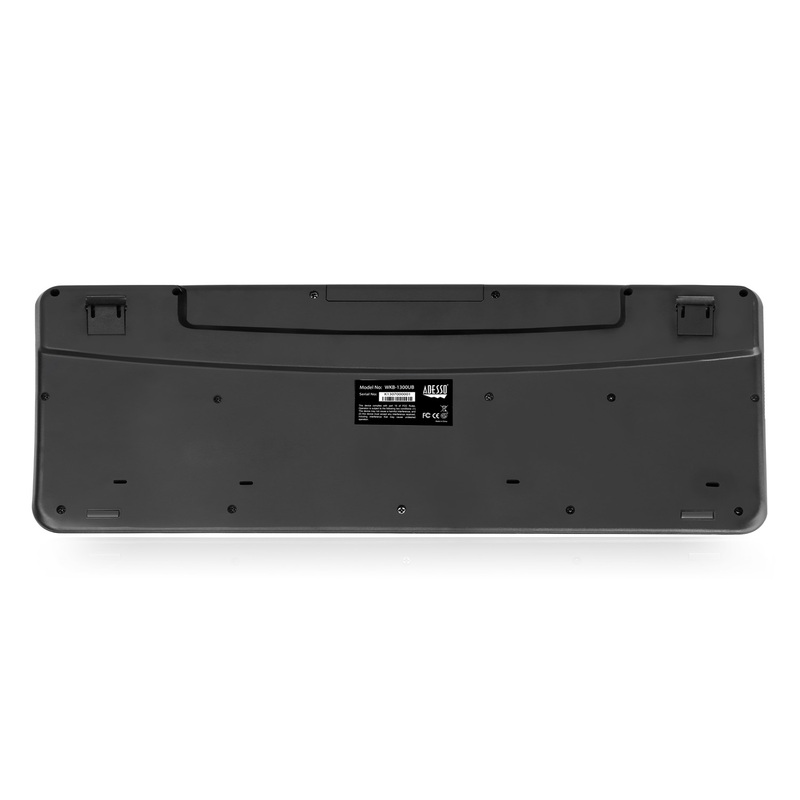 With 2.4 GHz RF wireless technology you can enjoy working at any angle and at a distance of up to 30 ft.
Control your media player with just one touch using the builtin Multimedia Hotkeys for easy access to your favorite video or music playlist. 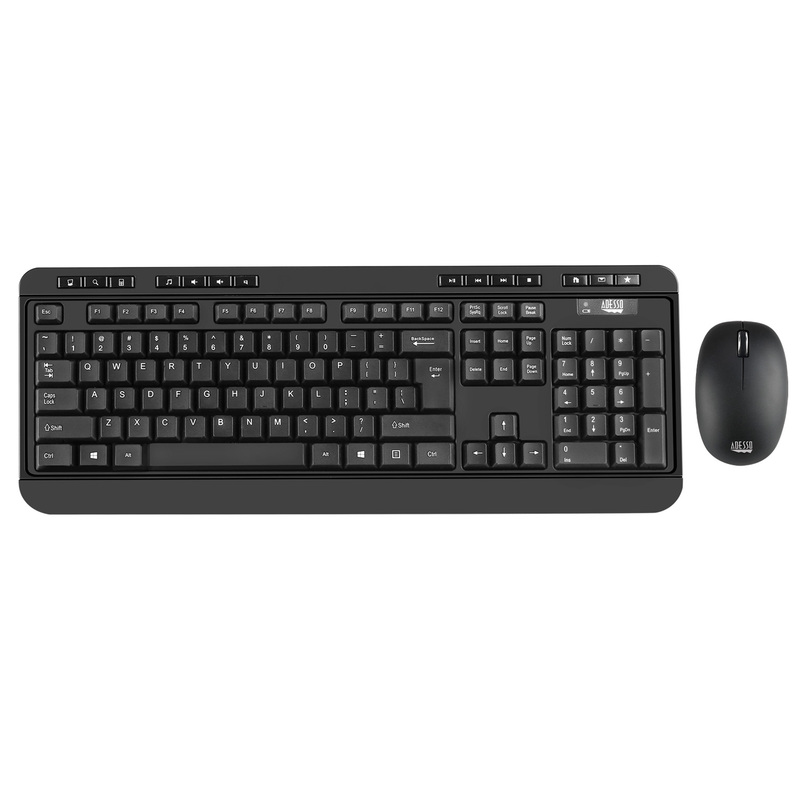 Instantly open your favorite Windows applications,such as My Computer, Calculator, Mail, or Search without having to navigate with your mouse. 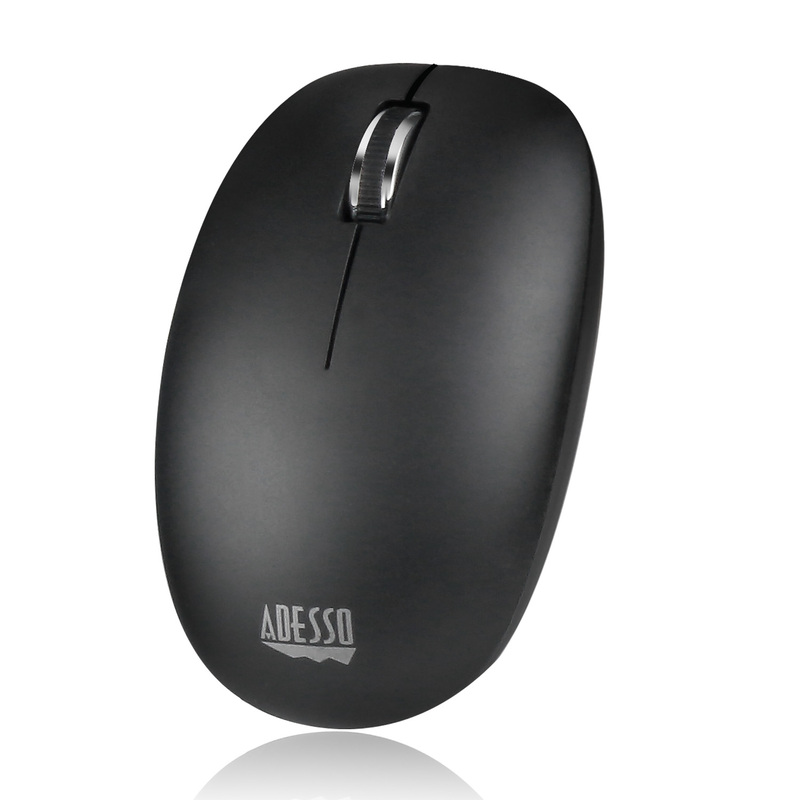 This wireless mouse equipped with a 1000 DPI optical sensor offers more precision, accuracy and comfort than most traditional optical mice.